The colours are great in this picture. I especially like the traces of the strawberries already eaten from the dish. Just lovely! thanks aimee. 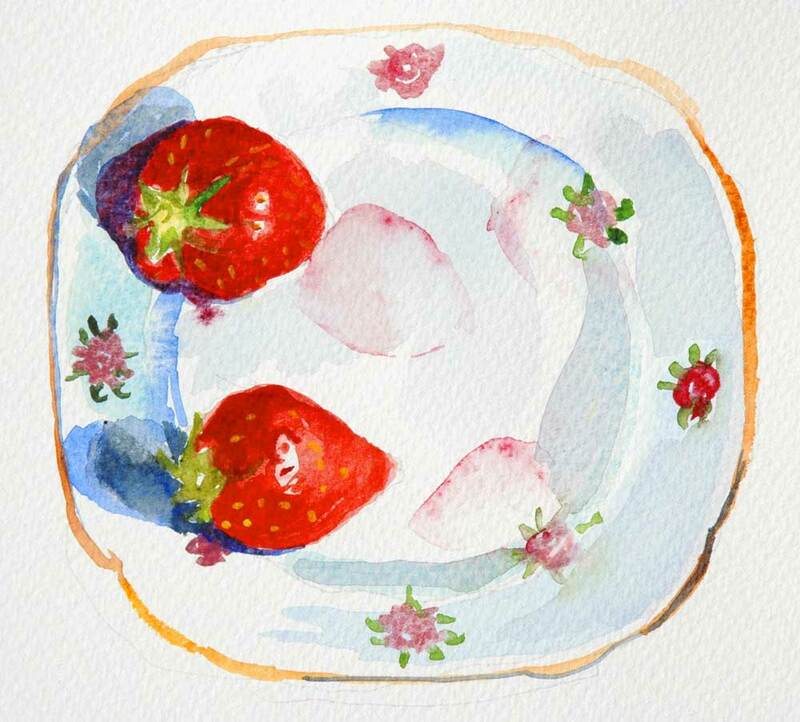 the drawing didn't really work until those juicy stains got added...good thing the strawberries got eaten, in other words! I agree: beautiful colors and the strawberry imprints are just right. And I also like the way the blue shadow line on the upper right works. Plus, they look delicious!